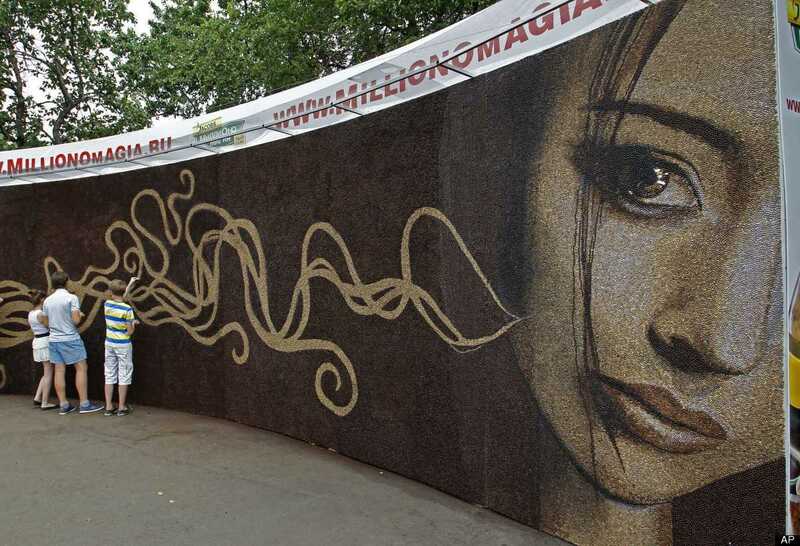 The world's largest coffee mosaic, according to Russia's Book of Records recently debuted in Gorky Park, Moscow. The piece features 1 million coffee beans, weighs 397 pounds and spans 30 square meters. "The Awakening" is on exhibit until July 1, in which the beans will then be sent to a coffee plant for processing.